This resource is organized by common procedural nomenclature used in the hospital setting and then linked to the related root operation table(s); the procedure is described in layman’s terms, translated to ICD-10-PCS root operation terminology, and the corresponding root operation table(s) is identified. 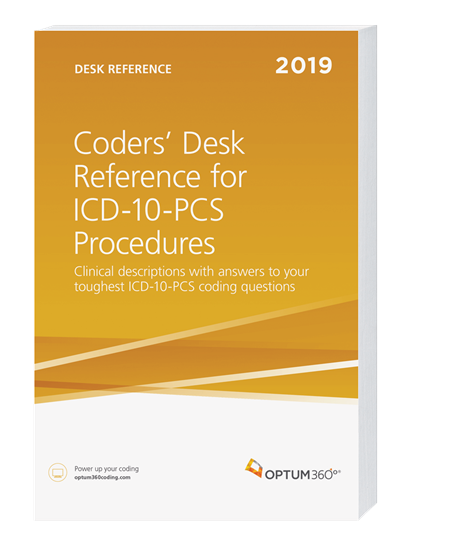 Enhance understanding of ICD-10-PCS.The lay descriptions were developed to enhance understanding of theICD-10-PCS terminology and definitions of root operations, body parts, approaches, devices, and qualifiers. Designed for both novices and seasoned coders.Thelay descriptions, illustrations,and other supplemental resources contained in this resource are designed for coders of all skill levels.